Also known as stackable mothers rings, these stacking name rings are great ways to wear children's names. 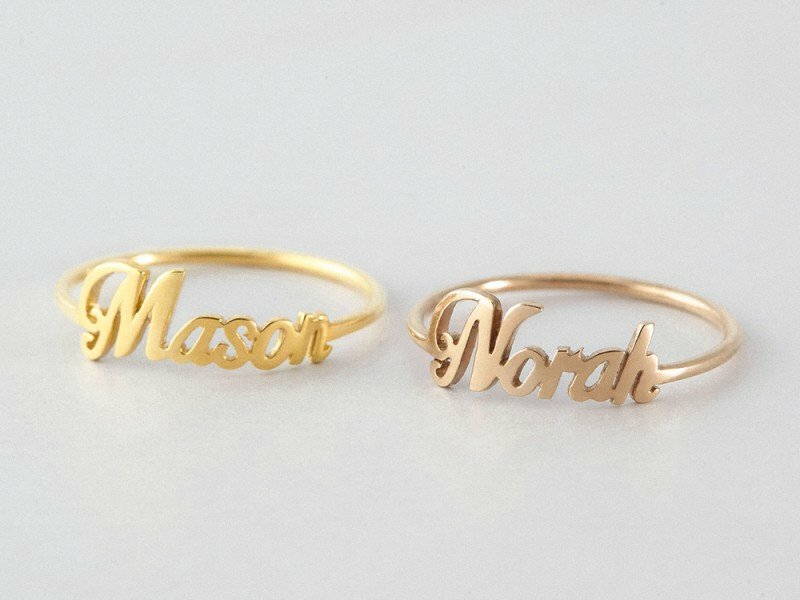 Beautiful and versatile, personalized name rings make for great gifts for Mother's Day and Christmas. Handcrafted in sterling silver with 18K gold plate options, these stackable rings with names are the perfect blend of quality and style.